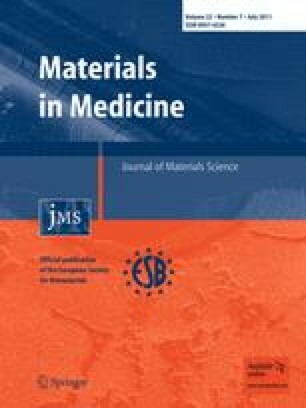 Orthopaedic materials may improve its capacity to resist bacterial adherence, and subsequent infection. Our aim was to test the bacterial adherence to alpha-tocopherol (frequently named vitamin E, VE) doped or blended UHMWPE with S. aureus and S. epidermidis, compared to virgin material. Collection strains and clinical strains isolated from patients with orthopaedic infections were used, with the biofilm-developing ability as a covariable. While collection strains showed significantly less adherence to VE-UHMWPE, some clinical strains failed to confirm this effect, leading to the conclusion that VE doped or blended UHMWPE affects the adherence of some S. epidermidis and S. aureus strains, independently of the concentration in use, but the results showed important intraspecies differences and cannot be generalized. The work is funded by the Spanish Ministry of Education (grant MAT2006-12603-CO2-O2), Comunidad de Madrid (grants S-0505/MAT0324, S2009/MAT-1472), and Ministry of Science (grant CONSOLIDER-INGENIO 2010 CSD 2008-0023 FUNCOAT). DMM was granted by Fundación Conchita Rábago de Jiménez Díaz. The authors thank Dr. J.J. Granizo, epidemiologist, for his help with statistical analysis.